Another year of teaching Humanities at Veritas Academy is now over. This year was “Humanities: The Modern World,” and it is both one of my favorite courses and one of the most challenging (just like the other three in the quadrant). Because of some changes in the course during the first semester and some additional books subbed in during the second semester, some favorite books were left off the reading list. Overall, however, we had a good year of reading. On some questions on the last day of class, I asked which book was the favorite, which book should have been given more time for discussion, and which book would each student wish to read again. I think every book got picked by one student or the other, while many students listed “all of them” as their favorites, the one that needed more discussion time, and the one they would want to read again. 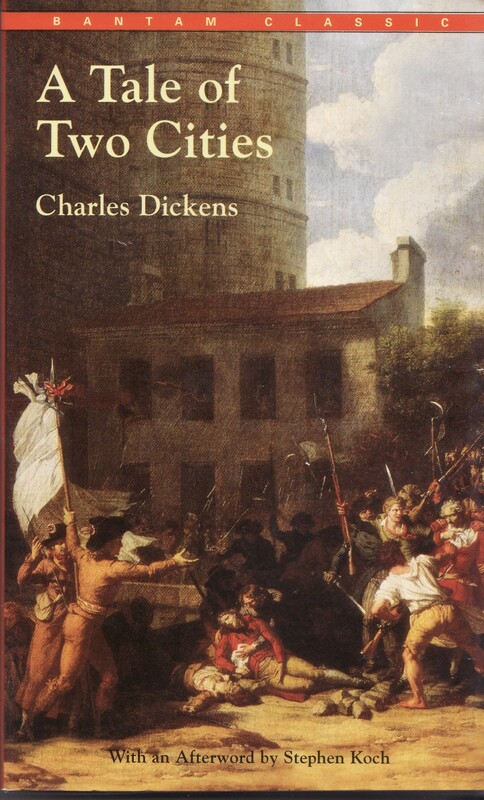 The year began (back in September) with Charles Dickens’ A Tale of Two Cities. On the one hand, this book is not typical of Dickens’ usual plots and stories. On the other hand, it is a fine novel that contrasts the French Revolution with England during the same time period. I posted a series of blog articles back in September of 2014 while we were reading this book. This book is always popular with the students. The overt Christian message is outstanding. We never read enough Shakespeare. This year we did get through 3 tragedies–Macbeth, Hamlet, and King Lear. I lament not having time for at least one or two of the comedies and a history or two, such as Henry V. I found that Shakespeare works best when the plays are read aloud–with students standing, entering, leaving, and delivering the lines. I also find that some of the movie versions of Shakespeare work well to follow up the readings. This past year’s coverage of John Milton’s epic poem Paradise Lost was a delight for me as a teacher. This poem is not easy reading, either for students or the teacher. But Milton’s verse is rich. There are usually some discussions of portions of this poem that nearly turn the classroom into a revival meeting. Milton doesn’t get straight A’s for theology, but he gets A+’s for expanding the mind and imagination in regard to God’s original creation, the sinfulness of Satan’s perverse rebellion, and the pristine beauty of Adam and Eve in the Garden of Eden. 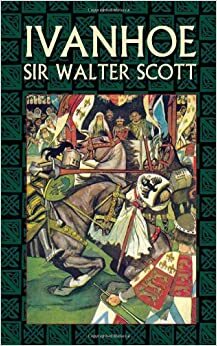 It is hard to know exactly where to place Sir Walter Scott’s historical novel Ivanhoe in the Humanities program. Most moderns have slipped it off the reading lists. It is a romance about the Medieval period, particularly the time of King Richard the Lionheart and his usurper brother, Prince John. But it was published in 1820. Scott was showing the relevance, the importance, the necessity of the past. Scott honored tradition, chivalry, manners, and morals. He was writing a novel of manners and grace to warn an ever increasingly industrial world to not forsake the old verities (to echo William Faulkner’s term). The story grates against our age and against almost any age. So it always is when honor is contrasted with dishonor, morality against licentiousness, law against evil. I really came to like this novel during our studies this past year. Another book that is hard to classify is Edmund Spenser’s Faerie Queene. It is to be read, for C. S. Lewis loved it, and that is sufficient for including it. We only read one of the existing 6 books of this English classic. Book I has been published with some good notes and helps by Canon Press. This portion is titled Fierce Wars and Faithful Loves. (Canon has also published Book II, which is titled The Elfin Knight.) This story is also Medieval, but is much more. In many ways, this is a poem that captures the issues of the Reformation poetically just as Luther and Calvin dealt with issues theologically. The great quest of the Red Crosse Knight is for holiness. Like all Christians, he stumbles, errs, gets deceived, acts stupid, and sins grievously. But, this is a story of God’s grace and of sanctification. 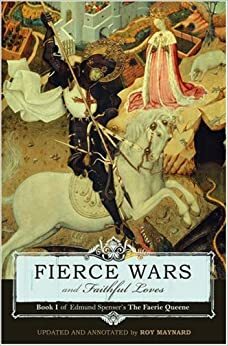 I hope that my students who expressed the wish to read the other books of The Faerie Queene will press on with that desire. 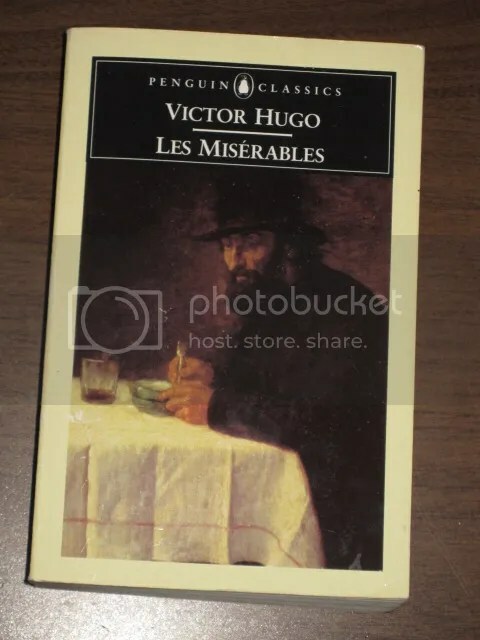 We devoted much of the months of March and April to reading Victor Hugo’s Les Miserables. Of course, the month was interrupted by a snowstorm, a cold and rainy spring break, and by a trip to Greece and Italy that took all my juniors and seniors away for a time. Les Miserables always proves to be a favorite with the students. We also used the movie version that stars Liam Neeson. I enjoy hearing the students complain about the movie’s shortcomings. This year, I received a number of complaints regarding this 600 page novel. The version we use is not complete. The book is actually a 1000 or more pages. Four of my seniors requested the complete version of the book for their graduation gift (with the fifth senior requesting Homer’s Iliad). We ended the year with Jane Austen and Pride and Prejudice. I almost skipped that book in order to read Sense and Sensibility, but I stuck with the group. I was struck once again with Austen subtle humor and deftness in unveiling this story of misjudgments, economic and social differences, honor and shame, and romance. I had to labor to tame down some of the excesses of the Austen fans who have almost no restraint, or to use an Austen term, propriety, in showing their enthusiasm for her writings. Along with a long study of Francis Schaeffer’s How Should We Then Live? and the reading of a biography of one of the Protestant Reformers (Luther, Calvin, or Knox), these constituted the main readings of this past year. So much accomplished. So little accomplished. This entry was posted in Uncategorized and tagged Humanities at Veritas Academy. Bookmark the permalink.